Pantech Flex, announced in Aug.2012, "coming in months"
Verizon now is not so shiny as for the choice? Ruggedized LTE smartphones for commercial carrier networks and band 14 public-safety LTE systems. Embattled satellite carrier LightSquared proposed on Friday that the government let it share spectrum with federal uses such as weather balloons so it can get enough spectrum to launch its proposed national LTE mobile network. LightSquared would give up on deploying LTE in one band of spectrum that it had been planning to use for that network before the U.S. Federal Communications Commission (FCC) moved to kill its plans over interference with GPS receivers. In the proposal it submitted on Friday, the company also offered to hold off on using the rest of that controversial spectrum until the FCC can carry out a rulemaking process that could take years. The new plan would give the carrier 30MHz of frequencies on which to operate the LTE network. That's 10MHz less than it had wanted but still comparable to the amount of spectrum Verizon Wireless and AT&T are using for their LTE systems, which in most areas use just 20MHz. What LightSquared wants to do is take one 5MHz band that it already uses for its satellite service (at 1670-1675MHz) and combine that with the next band up (1675-1680MHz), which is used for federal purposes including National Oceanographic and Atmospheric Administration weather balloons. The government could keep using that band, while LightSquared's LTE network would share it. This would give LightSquared 10MHz for downstream traffic to customers' LTE devices. Another pair of bands that it uses for satellite now, which total 20MHz, would be used for LTE traffic going upstream from users' mobile devices. 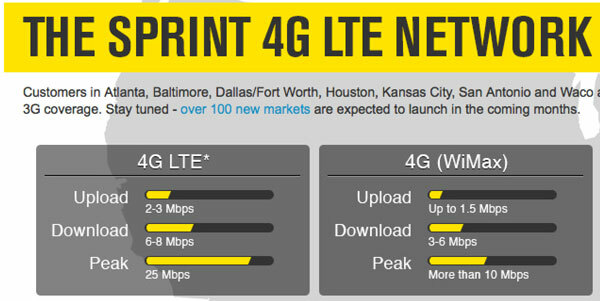 Plan to launch LTE services Oct. 29, 2012. Tariff with unlimited data, montly euro 39 ($50.2). USB-dongles, MiFi spots and tablets at launch, smartphones "in a pipeline". The operator revealed that the deployment of LTE in the 2.5GHz frequency band was likely to present a serious risk of interference to neighbouring countries. Rival Tango confirmed that its own LTE launch was set for 1 October, probably with the smartphones from the launch date. What would you say to an LTE hot spot that connects up to 10 Wi-Fi devices and comes with a 2.8-inch touch screen? 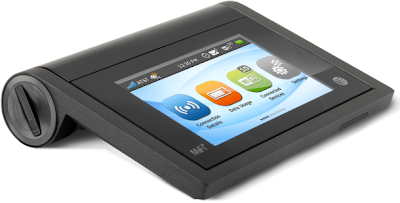 It is Novatel Wireless MiFi Liberate. 11 hours of continious use on its battery. David Haszledine, Network Economics Manager at DT, told Avren Events' HetNet conference that rolling out an LTE network in 1800 MHz spectrum could be a quarter or a fifth as cheap as achieving the same network in 2.6 GHz spectrum. In Austria, where T-Mobile has an obligation to provide 25% population coverage via LTE at 2.6GHz, the budget submission from the network team was "painful", Haszeldine said. In-building coverage in areas of thick-walled buildings was proving particularly problematic, he said. Asked by Mobile Europe what the submission might have looked like if T-Mobile Austria had, like its EE cousin in the UK, 1800 MHz spectrum to work in, Haszeldine said, "I have to be careful because I have seen cost comparisons of 800 MHz, 1800 MHz and 2.6 GHz LTE that are so secret there are no electronic copies. But I will say that 1800 is cheaper by factors, perhaps by a quarter or a fifth." "I think that 1800 will become the de facto LTE standard, not just because of the iPhone 5 but because of the business benefits if offers operators," he said. Of course, network economics also put a premium on the digital dividend 800 MHz spectrum that Ofcom is auctioning, and may drive the price of that spectrum up accordingly. The U.S. Army employed a 4G cellular network this summer at its integrated capabilities testbed at Fort Dix, N.J.; this was done to address integration with current network designs and to enable actionable intelligence for dismounted squads. I have identified one company in the small cell wireless base station market that stands to gain by this network build out. The company is Mindspeed Technologies, Inc. (MSPD) which is a fabless chip design company headquartered in Newport Beach, California. With its roots as part of Rockwell's Semiconductor division, it was spun off as a wholly owned subsidiary of Conexant in 1999 and later launched as a standalone public company in 2003, listed on NASDAQ as MSPD. The company designs and sells a wide range of silicon chips for network infrastructure of the wired and wireless communications industry. Small cell wireless LTE is no longer a niche technology as it is now being deployed and has become an integral part of the major carrier's network plans. There are currently 5 types of small cell base stations that Mindspeed provides SoC's for. Movistar Venezuela, part of the Telefonica group, has announced that the country’s telecoms regulator, the Comision Nacional de Telecomunicaciones (Conatel) has awarded it an additional allocation of 20MHz of frequencies in the 1900MHz band (band 2). Alongside the announcement of its new frequency award, Movistar Venezuela said that it has increased its 2012 infrastructure investment budget to VEF2.3 billion (USD535 million), mainly to expand capacity of its 3G+ network, by installing 230 new cell sites and upgrading 860 additional base stations nationwide by the end of this year, which will near-double its data network capacity. In the next three years Movistar expects to invest a total of VEF10 billion, including spending on LTE development. Speaking at a conference in New York, CEO Dan Hesse noted that Sprint has moved some one million LTE devices -- a number that's likely to keep growing, as the carrier continues to roll out coverage. Verizon Wireless (VZ) on Thursday flipped the LTE switch on in 19 new markets across the country. In addition, the nation’s largest carrier also expanded its high-speed network in 20 existing markets. Solyman Ashrafi is vice president of product management at MetroPCS and is on the LTE North America advisory board. He is speaking on the Voice over LTE track on Day Two of the LTE North America 2012 conference, taking place on the 14-15th November 2012 at the Fairmont Dallas Hotel, Texas. Ahead of the conference we speak to him about where MetroPCS is with its VoLTE deployment and what the challenges it expects to face in the future. What have been the main developments for you over the last 12 months with regards to LTE? In early August MetroPCS reached another innovation milestone by announcing the world’s first commercial launch of Voice over LTE (VoLTE) services, the availability of the world’s first VoLTE-capable handsets, and the first sale of a VoLTE-capable handset. Clearwire has selected some of its TD-LTE vendors and expects to announce them in October. Ericsson and Alcatel-Lucent are supplying AT&T and Verizon's respective LTE networks and are suppliers for Sprint, which is also buying infrastructure equipment from Samsung. Mobile TeleSystems (MTS) has launched ultra-fast 4G mobile broadband services with speeds of up to 100 Mbps (megabits per second) in most of Moscow and 40 population centers in Moscow regions. Nokia Siemens Networks is the sole vendor for the launch, providing a complete Time Division Duplex Long Term Evolution (TD-LTE)* network and a range of comprehensive services. As part of the network, the company has provided its Single Radio Access Network (RAN) and Liquid Core based Evolved Packet Core (EPC). Under the contract, Nokia Siemens Networks has provided its Single RAN platform, based on its compact, energy-efficient Flexi Multiradio Base Station for the TD-LTE network. The company has migrated MTS’ complete network from WiMAX, deploying 2,200 advanced, multi-technology base stations from its mobile broadband offering. Nokia Siemens Networks has also provided its Liquid Core** basedEvolved Packet Core (EPC) platform, including Flexi Network Server (NS) and Flexi Network Gateway (NG). As part of the contract, Nokia Siemens Networks has provided its NetAct network management system to provide consolidated configuration, monitoring and network optimization. In addition, the company has provided its New Technology Home Location Register (NT-HLR)*** and Home Subscriber Server (HSS)****. Nokia Siemens Networks has ensured a smooth rollout of the 4G network by providing network planning and optimization services for 4G and 2G/3G quality assurance, full turnkey solutions including site acquisition, project management, customer logistics, construction works and network implementation. Nokia Siemens Networks has also provided an end-to-end security solution for Packet Core and LTE Transport, including firewalls, a Certificate Authority and security gateways. For more information on Nokia Siemens Networks’ mobile broadband capabilities, including a video overview, follow this link. To share your thoughts on the topic, join the discussion on Twitter using #mobilebroadband. Voyager Mobile opens to New York residents, announces 4G LTE service and new $17 Unlimited Talk plan. Voyager Mobile opens its doors to New York, making its low cost wireless service available to New York State residents. Voyager Mobile offers some of the nation's lowest cost, unlimited wireless plans, starting at $17 per month plus tax. Voyager Mobile has also introduced 4G LTE into its lineup of low-cost wireless services. Voyager 4G LTE boasts download speeds of six to eight megabits per second (6-8 Mbps), nearly doubling the speeds of existing Voyager 4G WiMAX. Voyager Mobile was one of the first prepaid wireless providers of 4G WiMAX, and now, with 4G LTE, the Samsung Galaxy S III, Motorola Photon Q 4G LTE, HTC EVO 4G LTE, and LG Viper 4G LTE are welcomed to the lineup of popular and powerful smartphones – still 100% contract-free. If 4G LTE service is not available in your area, simply utilize 3G data until the high-speed frenzy arrives in your hometown. Verizon Wireless expects a total of six of its rural LTE program partners to offer commercial service by the end of the year. Verizon announced its LRA initiative in June 2010. Under the program, Verizon shares access to its 700 MHz Upper C Block (band 13 700 MHz) spectrum with rural operators, who use their tower and backhaul assets to build an LTE network and market the LTE service under their own brands. Earlier this spring Oklahoma-based Pioneer Cellular and Wisconsin-based Cellcom became the first two carriers to launch commercial service under the program. Junker said Verizon expects four more by year-end, though he declined to name them. Junker said that the program allows Verizon to have rural areas without the need for direct investment. The 17 carriers in the program cover 2.7 million POPs over 144,000 square-miles, for a density of 19 people covered per square mile. UK regulator Ofcom has said that there is nothing stopping EE’s rivals, such as Vodafone and O2, from putting in an application to alter their 900 MHz spectrum licence for LTE usage. A ruling in early 2011 meant that all operators are now free to use their 2G spectrum for 3G services, so extension of that same ruling to encompass 4G would be a small amend. Potentially, this means that Everything Everywhere, the firm that owns the Orange, T-Mobile and new EE brand in the UK, could have its one-year monopoly on LTE in the market cut short. Its rivals would no longer have to wait for the UK LTE auction, scheduled for early next year, to launch competing 4G services. Telstra Global is offering LTE roaming services across the Asia-Pacific (APAC) region using Tekelec's Diameter Signaling Router (DSR). Tekelec's market-leading DSR is providing the diameter signaling hub for Telstra Global's IPX service announced last month. It enables the secure exchange of authorization, authentication, billing, charging and network policies that use the diameter protocol to maintain subscribers' LTE services while visiting international markets. "Operators are examining how to maximize the benefits that LTE networks provide, and international roaming is the first step," said Tejaswini Tilak, Global Head of Carrier Services at Telstra Global. "Tekelec is a leader in this space, with the scalability, security and vision for us to support the region's LTE requirements and capitalize on increased international mobility and exploding mobile data consumption." Telstra Global IPX Service offers a platform that enables mobile operators to introduce new services and applications, to take advantage of ever more popular capabilities such as mobile gaming and video streaming with superior end user experience. It is provided over Telstra Global's scalable and managed IP MPLS core network which maximizes traffic on both legacy and new mobile platforms, allowing Telstra Global to partner with mobile operators that have already embarked on or are heading towards their LTE journey. On Monday ZyXEL Communications introduced its all-in-one LTE512x series of fixed wireless CPE (customer-premises equipment) here in the States. The gadgets deliver 4G fixed broadband Internet along with a complete range of connectivity options – Wi-Fi, Gigabit Ethernet, VoIP ports and support for smart home services like home automation and monitoring. "Given ZyXEL's deep heritage of innovation in 3G, Wi-Fi and WiMAX technologies, the announcement is a natural progression in the company's growth, particularly as a leader in LTE adoption," a rep told Tom's on Monday. "The series works with both the AT&T and Verizon networks bands." The LTE512x series is designed with a high performance LTE module and a MIMO antenna array supplying up to 100 Mbps (downlink) and 50 Mbps (uplink) connectivity. The new series kicks off with the LTE5121 supporting Band 4/17 and the LTE5122 supporting Band 13. According to the new Tekelec LTE Diameter Signaling Index, Diameter signaling traffic growth will more than triple mobile data traffic growth through 2016.1 Tekelec forecasts Diameter Messages per Second (MPS) to increase to 47 million Diameter MPS by 2016, representing a compound annual growth rate (CAGR) of 252% between 2011 and 2016. Qualcomm is dominating LTE chips market, but Intel plan to strike back? Intel will be able to put an unlimited number of bands on a single LTE modem, possible as soon as late next year. Apple used Intel's modems up until 2010, when it switched over to Qualcomm in part to get Verizon and Sprint LTE compatibility. There is Qualcomm MDM9615 modem is in the Apple iPhone 5. Modems are only half of the solution, though. Dermot O'Shea, co-founder of antenna firm Taoglas, said antenna design gets difficult when you're covering such a wide range of frequencies. Active antennas for smartphones, which have just started to hit the market this year, can adapt to different bands without being huge, although they add to the cost and complexity of smartphones. We're likely to see more of them next year. Well... Qualcomm MDM is in the Apple, Qualcomm MDM is in the ZTE. And no more in Huawei. Balong or die? Samsung Electronics will start selling the souped-up LTE version of the Galaxy S III in the Nordic countries during the fourth quarter, the company said on Monday. The new version of the Galaxy S III comes in two versions: one with LTE over 800MHz, 1800MHz and 2600MHz, and a second one that switches the 800MHz band for the 900MHz band. September 11, 2012: GSA (Global mobile Suppliers Association) has published an update to its Evolution to LTE report which confirms 347 telecoms operators in 104 countries are committed to commercial LTE network deployments or are engaged in trials, technology testing or studies. The report covers LTE FDD and LTE TDD technologies. 292 operators have made firm commitments to deploy commercial LTE networks in 93 countries. The number of operators committed to LTE network deployments has increased by 23% in the past year. A further 55 operators in 11 more countries are in a pre-commitment stage, engaged for example in LTE technology trials, tests or studies. 96 operators have launched commercial LTE services in 46 countries. This figure includes 11 commercial LTE TDD systems which are launched in Australia, Brazil, India, Japan, Oman, Poland, Russia, Saudi Arabia, Sweden and the UK. 68 operators have launched commercial LTE services in the past 12 mon ths. GSA forecasts there will be 152 commercial LTE networks operating in 65 countries by December 31, 2012. GSA re-affirms LTE as the fastest developing mobile system technology ever. Deployments of LTE in re-farmed spectrum continue to accelerate, emphasizing the flexibility and growing importance of 1800 MHz as a prime band for mobile broadband services delivery. LTE1800 (LTE in 1800 MHz spectrum) is now launched on one third of all commercial LTE networks. Thirty-two operators, compared to five one year ago, have commercially launched LTE1800 either as a single band system, or as part of a multi-band deployment strategy. Commercial LTE1800 services are now available in 24 countries: Angola, Australia, Azerbaijan, Croatia, Czech Repulic, Denmark, Dominican Republic, Finland, Germany, Hong Kong, Hungary, Japan, Latvia, Lithuania, Mauritius, Namibia, Philippines, Poland, Portugal, Saudi Arabia, Singapore, Slovenia, South Korea, and UAE. (My list of LTE1800 operators see here). The report also includes for the first time a status update of operator commitments to HD voice enabled by VoLTE and W-AMR codec technology, confirming numerous deployments and commercial launches. Ecrio, the leading provider of real time communications client software solutions for the mobile industry, announces the successful integration and certification of Altair Semiconductor's FourGee™ LTE chipset and Ecrio's Mobile Communications Client Suite (MCCS). Most interesting is the rumor that EE can get the Nokia's new smartphone on exclusivity base. Probably Nokia will use that marketing model in other countries as well. Still it is not confirmed if Nokia Lumia 920 can operate in LTE1800 band, I mean if it is the same Lumia 920 which is dedicated to AT&T and supporting 700 / AWS bands. We will know it not later then in Nov.2012 anyway. AT&T is expanding its 4G Long-Term Evolution high-speed data network to seven new markets: Anchorage, Alaska; Bakersfield, Calif.; Bridgeport, Conn.; Jacksonville, Fla.; Modesto, Calif., Omaha, Neb. ; and Syracuse, N.Y., the company announced Sept. 6. In addition, the carrier is expanding its coverage in the New York City/New Jersey and Washington D.C./Baltimore markets. By the end of 2012, AT&T will add LTE coverage in areas such as Cincinnati; Detroit; Hawaii; Louisville, Ky.; Milwaukee; Pittsburgh; Portland, Ore.; Salt Lake City and Seattle. And many expecting that new iPhone will be with LTE support as well. Timing and LTE - SONET, GPS or IEEE1588v2?